Academics at Applewild focuses on students age 4 – 15, believing that they are enthusiastic learners who prosper in an environment in which adults know them, have high expectations for them and inspire them. Our students explore a wide range of academic and co-curricular endeavors to fully stimulate their brains, discover their talents and celebrate those of their classmates. The core of our program is our challenging curriculum. 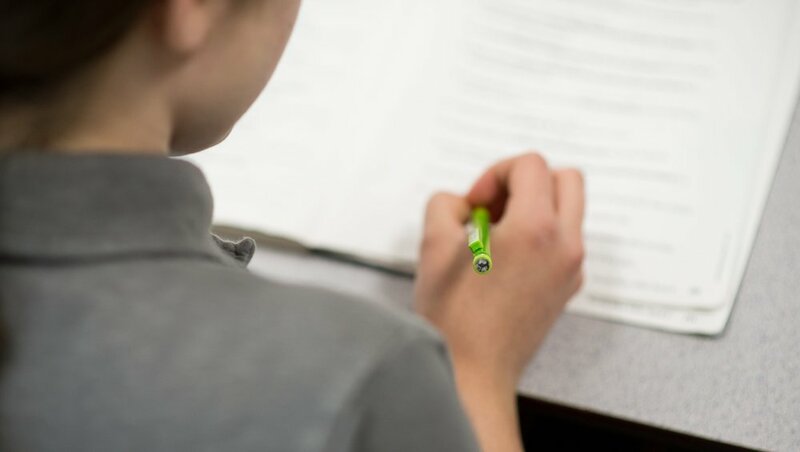 By the time our students leave our Upper School, they are capable of reading for detail and nuance and writing carefully crafted papers in English and history; and most also are prepared for advanced study in mathematics, science, and foreign language. Our graduates are also frequently leaders in their secondary schools as artists, actors, instrumentalists, singers, and/or athletes. Our Devens Campus Continues to Grow! We are accepting applications for first grade for 2019-20 and will continue to add a class each year through the fifth grade. Applewild School offers an intensive, well rounded ELL program for international students and non-native English speaking students in grades kindergarten through eight. Students enrolled in our ELL program participate in our challenging academic curriculum and diverse extracurricular activities. Art, shop, band, chorus, and drama are just as essential to an Applewild education as math, social studies, science, and language arts. We recognize that the arts are an integral part of every child’s emotional and intellectual development, so we’ve created spaces where our students have the opportunity to actively create and express themselves. We are excited to get to know you and your family and to answer any questions you might have. Complete the form below and a member of our admission office will get back to you shortly. Thank you for your interest in Applewild School! A member of our admission team will contact you shortly to schedule a tour of our campus and answer any questions you may have. Register Now for Summer Adventures!